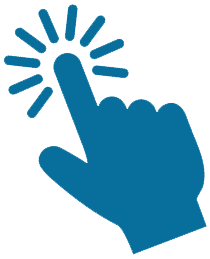 Today, I wanted to talk about an interesting tax credit that I recently discovered – the Saver’s Credit. It’s a tax credit that won’t matter to a lot of professionals – especially a dentist and lawyer household like me and my wife are – but because of our current situation, we’re actually in a unique position where we might be able to take advantage of it this year. In order to encourage lower-income individuals and households to save in retirement accounts, the government actually gives low-earning folks a tax credit if they save into qualified retirement plans such as a 401k, 403b, 457, or IRA. In a way, it’s like a government match program. You save some money into a retirement plan, and the government gives you some money back by reducing your tax bill. In normal circumstances, a power couple like me and my wife would never qualify for the Saver’s Credit. We both would earn way too much. This past year, however, I took a pay cut in order to switch to a non-traditional legal role that’s a better fit for me (something I could do because I live lean and hustled to pay off my student loans). Meanwhile, my wife is completing her last year of a three-year dental residency, for which she’s paid a grand total of about $4,000 per year. We’re not exactly balling out of control for 2017 and it is possible that, with a little bit of work, we end up with a household income for the year that’s under $62,000. With an income this low, I thought it’d be worthwhile to take a look and see what this Saver’s Credit was all about. We’ll likely never have an income this low again. The Saver’s Credit is pretty much exactly what it sounds like – it’s a credit that the government gives to certain people that save money into qualified retirement plans. You know how employers give you a match if you contribute to your 401k? It’s sort of the same thing, except, in this case, your “match” comes from the government. The amount of the Saver’s Credit is limited to a percentage of your first $2,000 in contributions you make to your retirement plans if you’re single, and your first $4,000 in contributions if you’re married. Basically, if you qualify for the Saver’s Credit and are single, you only need to save $2,000 in a year in order to max out your Saver’s Credit. If you’re married and qualify for the credit, you only need to save $4,000 in a year. So basically, if you’re single, have a low enough income, and are taking full advantage of the Saver’s Credit, you’re looking at getting a tax credit of $200, $400, or $1,000. If you’re married, you’re looking at a potential tax credit of $400, $800, or $2,000 depending on your income. Remember, tax credits are way better than deductions because they reduce your income tax owed, dollar for dollar. In other words, if you owe $2,000 in taxes, but have a $2,000 tax credit, you now owe nothing in taxes. 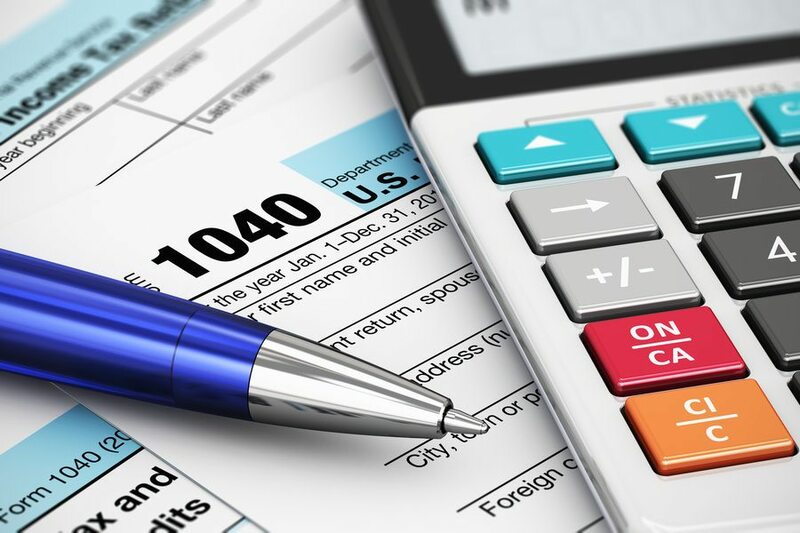 Some tax-credits are even refundable, which means that the government literally pays you money in the form of a tax-refund if your tax liability is less than your tax credit. Unfortunately, the Saver’s Credit is a non-refundable tax credit, which means that it can only reduce your tax liability to zero, but it can’t result in you getting a refund from the government. The hard part for most professionals is qualifying for the Saver’s Credit. In order to be eligible for it, you obviously have to have a low enough income. Your eligibility is calculated using your adjusted gross income, which means that it’s your income, minus specific deductions (typically things like contributions to tax-deferred retirement accounts or expenses you’ve incurred if you’re an independent contractor). 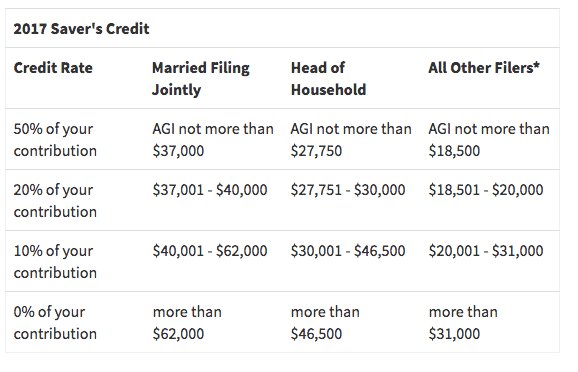 If your AGI is more than $31,000 as a single person or $62,000 as a married couple, you’re not going to qualify for the Saver’s Credit. The definition of a student is what makes it so that you probably won’t be able to claim the Saver’s Credit for your first year out of school. The IRS says that you’re a student if, during any part of five calendar months in 2017, you were enrolled as a full-time student at a school. So, if you graduate in May and then start working in September or October (like most first-year associates do), you’re not going to qualify for the credit since you’ll have been a full-time student for five calendar months. I’m still not quite sure how the Saver’s Credit applies for someone like my wife, who’s a resident and sort of a quasi-student. My guess is that she technically wouldn’t qualify to make contributions in her own name, but for my purposes, it doesn’t matter really since I can still make contributions for myself. Max Out Every Tax-Deferred Account You Have. This is a big one. For most professionals, the only way to get a household AGI under $62,000 will be to tax-defer as much of your income as possible. You’ll need to take advantage of everything in your arsenal – 401ks, 457s, IRAs (if you can qualify for a deductible IRA), HSAs, Pensions, and self-employed retirement plans. If you have access to both a 401k and a 457, you’re in an amazing position, since you can max out both of those accounts and drastically reduce your adjusted gross income. Take Advantage Of Years Where Only One Spouse Is Working. If you’re a household, you might have years where one spouse works and the other doesn’t, or where one spouse is in school while the other is working. If you can afford it, these are great times to really try to go for the Saver’s Credit. It’s pretty much the situation that my wife and I are in right now. I don’t earn that much right now and she’s earning basically nothing as a resident. Don’t Earn Money. The best way to qualify for the Saver’s Credit is to not earn money in the first place. If you’re in a position where you don’t need a lot of money to live – like most folks looking for financial independence and early retirement – you could probably try to qualify for the Saver’s Credit year-after-year. Unfortunately, I’m not quite sure if I’ll be able to get my AGI low enough this year to qualify for the Saver’s Credit, so it’s possible that, for me, the Saver’s Credit is just a theoretical thing. 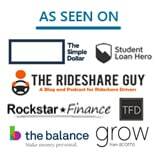 Still, it’s an interesting credit that I’d like to try to go for since it would help to reduce my tax liability on all of my side hustle income. 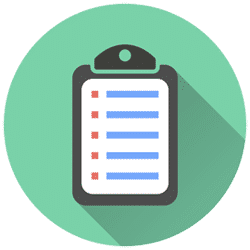 At a minimum, the Saver’s Credit gives you an excuse to try to max out all of your tax-deferred investment vehicles in order to get your AGI to as low an amount as possible. Nothing wrong with that. I qualified for the credit last year, but I got a significant raise this year (5-figures!) and I’m worried that might cost me the $1k credit I would have received year-after-year. Fortunately, I funnelled 80%+ of my raise to my 457(b), so my AGI might still be low enough to claim partial credit. Definitely a benefit of “saving until it hurts” as Financial Samurai would say. Nice man! That’s real good if you can get a raise and still get the credit. Really great post! Thanks. I had heard of this, but it has only recently popped back up on my radar, because we’ve become a one income household over the last year and a half. Also, personally, I’ve ceased funding any new retirement money during that time and have been focused on growing what I already have socked away. I’ll be revisiting this, this year. You’re final point of “Don’t earn money”, is one that might be lost on people who are striving, but I think it’s highly under rated point. Especially for middle age and up folks. When factoring in commute times, time away from home, personal stamina for doing other things you love, etc. the true value of making an extra $40K+ per year is greatly reduced. This specific credit can help make that choice a little easier. Thanks for taking the time to research and post this. Thanks Jim! Glad it helped! We maxed out everything this year and were about 500 shy of qualifying. In 2018, due to new tax brackets and higher TsP/401k limits, I believe we will just barely qualify…but that’s after maxing out everything folks–TSP/401k, pension plans(mandatory), FSA, and 2 TIRA’s!